"Pay Attention To Fear, Not logic": Feminist Social Justice Warrior Admits They Don Not Think, They Only Feel, Saying "Emotions Are The Only Thing That Are Real"
It isn't often a liberal feminist social justice warrior will admit to what conservatives have pointed out as obvious, that facts don't matter to liberals across the spectrum, politicians, feminists, the media, nor do statistics, just "feelings" and "emotions," whether those feeling and emotions make any sense or not or even if they are based in any type of reality. Feelings can be manipulated, as the media proves almost every day, using emotion to argue why illegal aliens should be given more than American citizens in the U.S., how apparel promoting president Trump, or hats that say "Make America Great Again" are somehow automatically to be considered racist, yet nothing about any of it speaks to race at all.....but the media says so, therefore liberals must believe it because they "feel" it. 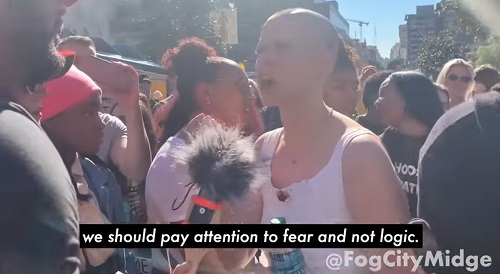 In an utterly bizarre video clip taken during the Women’s March in LA., a bald-headed feminist SJW casually admitted a number of things about the feminist movement today. The woman, and yes, I use that term loosely, confronted a black man in a MAGA hat, screaming in his face, then when asked "you want 50/50 huh?, she screams belligerently "No, I want the whole f**king thing, Motherf**ker." When asked if she is is all for only women in the world, she backtracks saying "of course not," but the cheers from the other Women's March attendees when she says they want the whole thing, tells the story of the nature of today's feminism movement. It gets worse though when after hugging the black man wearing a Make America Great Again hat, she then proceeds to tell him to "think about your hat and the way it makes people feel," claiming further that it "incites fear in all those around us." After telling the man "for so many people that's racism," he responds perfectly, pointing out "That's because of the mainstream media's narrative that's painted Donald Trump as a racist. I don't agree with that narrative. I'm out here trying to share that that narrative is skewed." It is then that the SJW astounds by informing a black man, that is telling a white girl, that he doesn't see any racism in President Trump, when she astounds the man by saying "as a human being we should pay attention to fear and not logic." He questions her "logic" on that by asking her "I should pay attention to emotion and not facts?" Her response is "Yes." Apparently dumbfounded by the lack of an substance to her appeal, he asks "Why would I pay attention to emotion....." and she responds "Emotions are the only thing real in this world." There is more back and forth but what she is admitting is that liberals these days do not operate on facts, even worse, they don't care about facts at all, only how they "feel," and that they believe that what they feel is more important and should be held in higher regard than the truth. The bonus is hearing right from the horses mouth, so to speak, that feminists today do not want equality, equal rights, they want more rights than men. LANGUAGE WARNING - Like many of today's feminists they apparently can't help themselves from being foul-mouthed when out in public. Frankly that video above, paired with another accidental truth by none other than the Trump-bashing, feminist Joy Behar, proves beyond a doubt that the media, by her own admittance, doesn't care about the truth either, and push fake news deliberately to manipulate the masses into believing lies, for no other reason than "we're desperate to get Trump out of office. That's why." Her response came to Whoopi Goldberg's acknowledging how the media pushed the false narrative and allegations against the Covington Catholic students, based on a selectively edited clip. Whoopi asked "Many people admitted they made snap judgments before these other facts came in. But is it that we just instantly say that's what it is based on what we see in that moment and then have to walk stuff back when it turns out we're wrong? Why is that? Why do we keep making the same mistake?" JOY BEHAR: Because we're desperate to get Trump out of office. That's why. ABBY HUNTSMAN: Not everybody though. BEHAR: I think that's the reason. I think the press jumps the gun a lot because we just -- we have so much circumstantial evidence against this guy that we basically are hoping that Cohen has the goods and what have you and so it's wishful thinking. Whoopi does try to remind Behar at that point that they are talking about the Covington hoax. That might be the first time Behar ever spoke total truth and the first time I have ever agreed with her. The media takes the action of using fake news to manipulate their audience, for no other reason that the get "Trump out of office," and the sheep that still pay attention to the liberal media talking heads and papers, then react by becoming outraged, without any facts, because as the initial girl made very clear, facts don't matter, emotions do, feelings do. With the majority of the establishment media coverage leaning far to the left, as the charts in Stefan Stanford's Friday article shows, the fake news media can easily coordinate a false narrative, make it go viral, then even after the truth is revealed many of their followers continue to "feel" outraged over the initial false news they were presented with, making their "emotions" the only thing they care about. Those two videos above, together, are absolutely stunning in what they admit about half the nation, including the liberal establishment media. They feel outraged that they have lost control, so they lie in order to manipulate their audience and they feel justified in doing so because .... feelings matter more than facts. What damage has this mindset caused? Well, for one, we have half a nation that is quite literally scared of ......clothing. Yes, "afraid" of a hat that says nothing more than "Make America Great Again," as the SJW in the first video admits. The Covington Catholic students were yet another example, the media has not only terrified liberals across America, they themselves are so scared of a hat, they were triggered instantly seeing teenagers in those hats, they immediately humiliated themselves by pushing a fake news story, to which they are still dealing with the fallout, since the teenagers and their families have hired a team of lawyers to go after the media and celebrities that demonized those students. Another story recently came to my attention. An Army veteran wore his "2016 Trump for President" shirt to a gym he had been using for eight years and the owner, which is described as a "friend," approached him and told him other members were upset by his "offensive garb." In an interview with the Washington Post, Drew recalled pulling Talbot aside and asking him not to wear the shirt again. "I said it could be construed as racist," she said, "and several of my members had complained about feeling uncomfortable when he wore that." Talbot, who had worked out at CDY Fitness for eight years, vowed to never go back and was given a free membership at another gym after his story went viral. 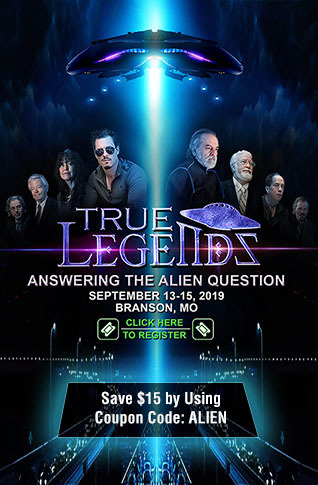 Once again, feelings were held in higher regard that logic, reason and just plain business sense, as the gym, CDY Fitness in Troy, Missouri, is now engulfed in their own uproar. According to St. Louis Dispatch, several other members of the CDY gym have threatened to cancel their membership as well. Clicking the CDY Fitness Facebook link from the search engine, now brings up a page saying "Sorry, this content isn't available right now," indicating they either deleted it or shut it down temporarily because of the backlash. This is what happens when people let the media manipulate them into letting "feelings" dictate actions rather than intelligent thought. 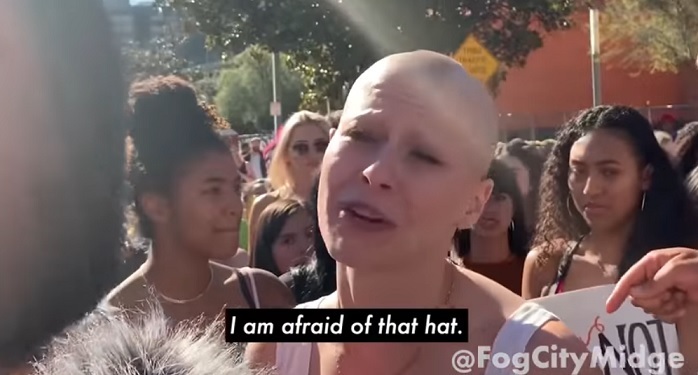 "I am afraid of that hat" should now be considered the feminist, social justice warrior motto.